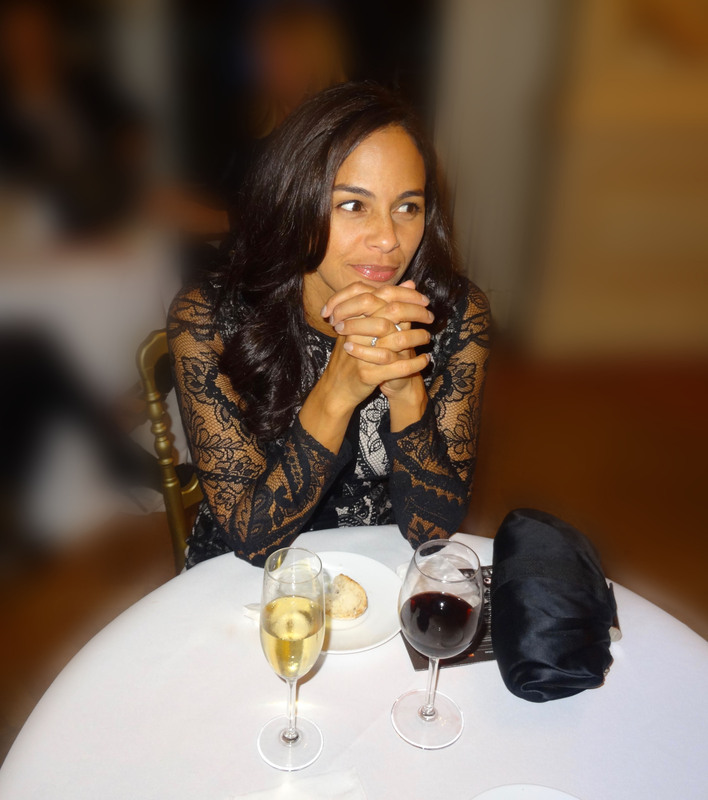 As women we typically talk about fashion in the sense of what we love to wear, what is trending and what’s on the runway. 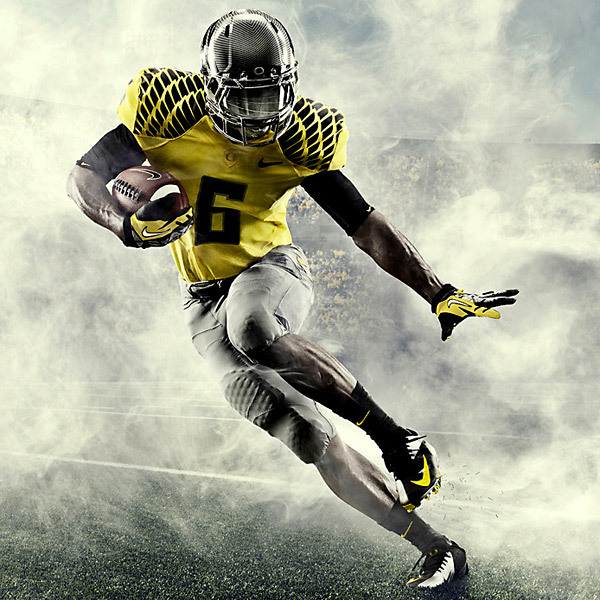 But I thought I would talk about fashion in a different area, the Football arena! 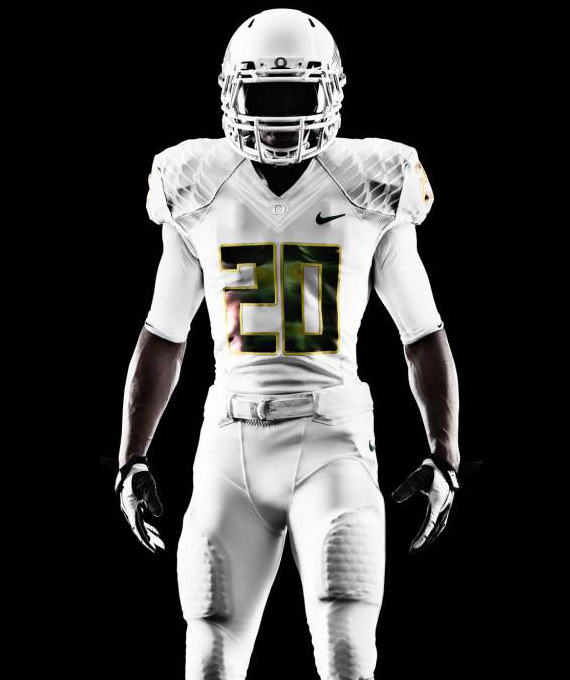 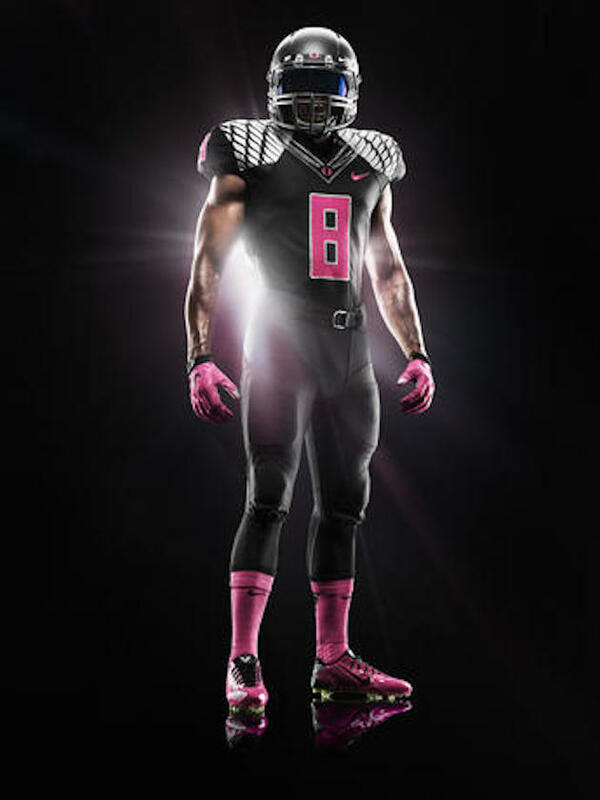 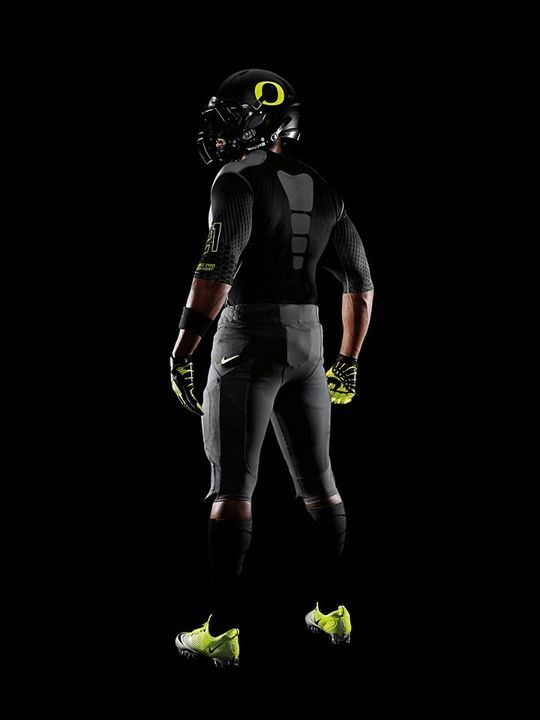 I have to admit that I love the Oregon Duck Football uniforms, Nike has really outdone themselves. 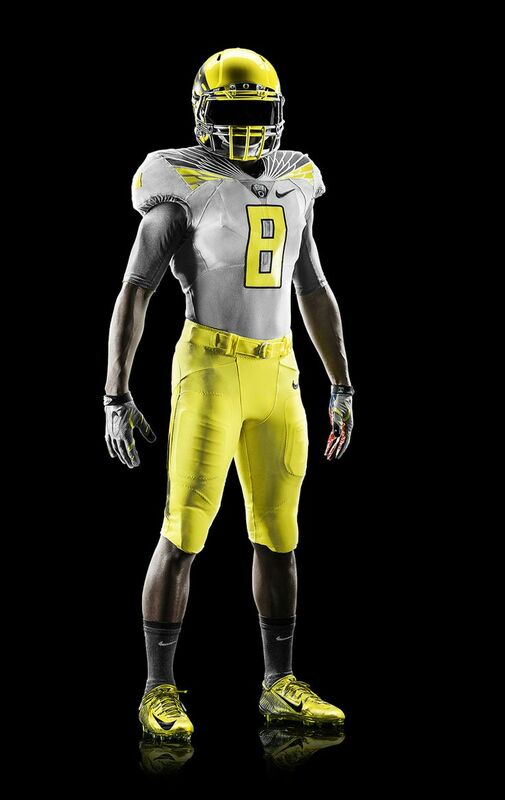 Being that my husband JJ Birden played football for the Ducks and I spent my college years there, we are partial to the Oregon Ducks. 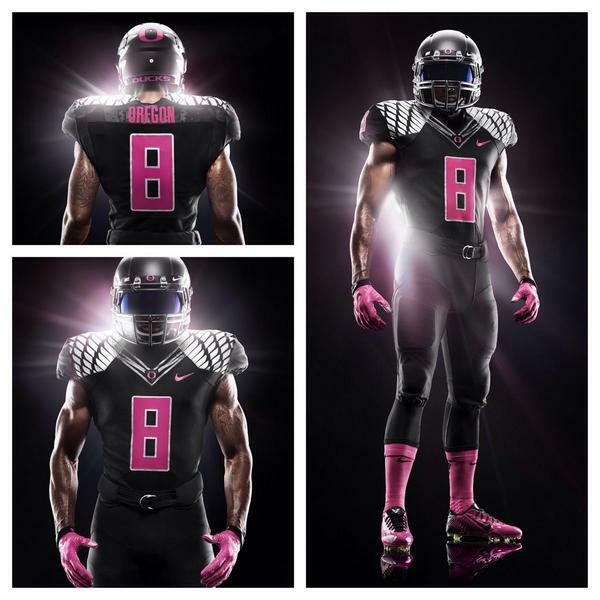 Tonights game uniform is especially close to our hearts with the Ducks supporting Breast Cancer Awareness month. 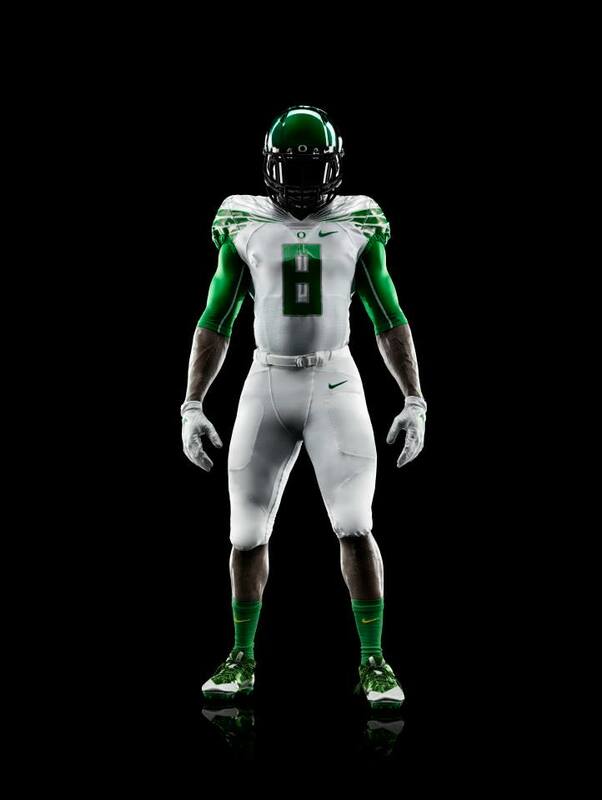 Here is a glimpse of the fabulous uniform they will be wearing tonight! 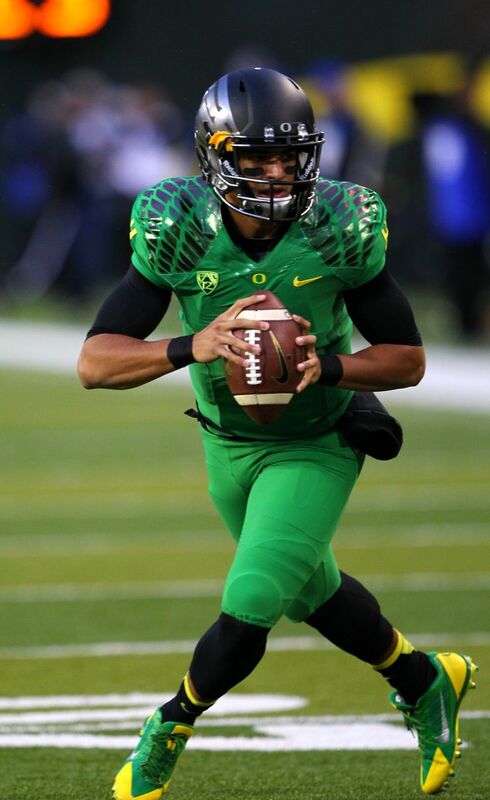 I have also included some of the other really cool uniforms the team have worn throughout the football seasons. 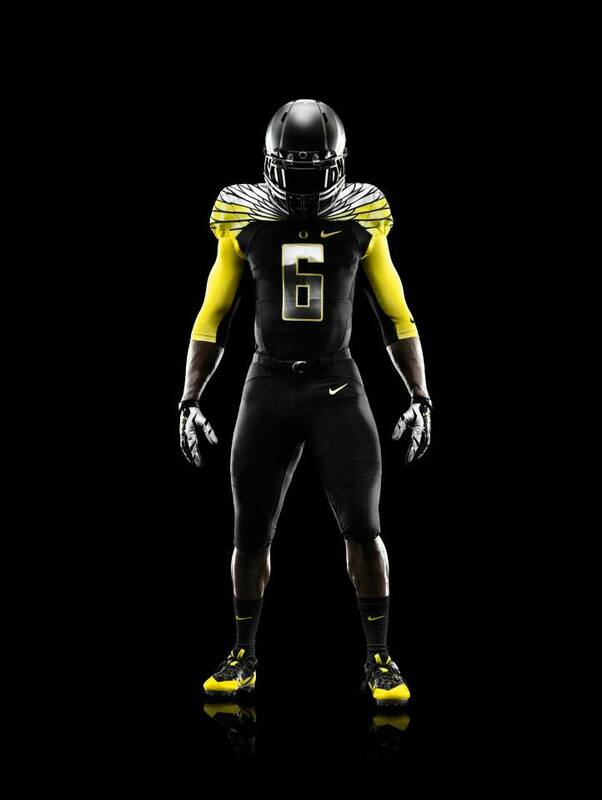 We love our Ducks! 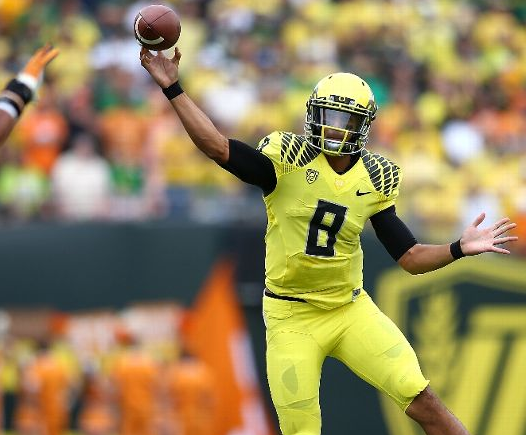 Who is your favorite college football team?